Euro-Asia Division, based in Moscow, Russia. Includes Russia, Northwest Asia and Eastern Europe. The division has identified Moscow for focused outreach, including evangelistic and health initiatives. Inter-European Division, based in Berne, Switzerland. This division has selected Geneva in Switzerland, home to some 1.2 million residents and several United Nations agencies. The division has two missionaries currently working in the city, and evangelistic campaigns were held in February at a French-speaking church and a Spanish-speaking church. This year the church will hold health expos and more evangelistic campaigns in October and November. Other cities of focus include Prague, Czech Republic; Hamburg, Germany; Munich, Germany; and Vienna, Austria. Inter-America Division, based in Miami, Florida, United States. The division in the past six months has focused on evangelism efforts in 49 cities. The surge is aided by mission funds designated for church planting in cities and urban ministry training for pastors and church leaders. Over the next two months, more than 200 university students from throughout the region will assist church planting initiatives in 15 cities. Next month, division officials will plant a Chinese church in Santo Domingo, Dominican Republic. That congregation will be the first Chinese Adventist church in the division. North American Division, based in Silver Spring, Maryland, United States. This division has supported NY13 and its more than 160 evangelism venues throughout the tri-state area surrounding New York City. Adventist world church officers selected New York City as a model for evangelistic outreach in other major metro areas worldwide. The “Mission to the Cities” campaign is part of the division’s core building block of Transformational Evangelism. The goal is to inspire members to get out and make an impact in their community. Division leaders say churches and conferences will sponsor health expos, and dialogues are currently taking place with Adventist healthcare systems about how to partner in impacting big cities. Future cities of focus include Indianapolis, St. Louis, Seattle, San Francisco, Oakland, Memphis, Tampa and Oklahoma City. Northern Asia-Pacific Division, based in South Korea. The division has chosen Tokyo, Japan, as the city of focus, and named the initiative TOKYO 13. The “13” means that every pastor and church member is to become the 13th disciple of Christ. The Adventist Church in Japan has experienced very low growth in recent years. Because evangelistic meetings have met with little success, the church will employ Christ’s method of mingling with people. Hence, the strategy for TOKYO 13 will be relational evangelism. Later this year, the church will organize small groups and engage in team ministry while inviting new people to church. 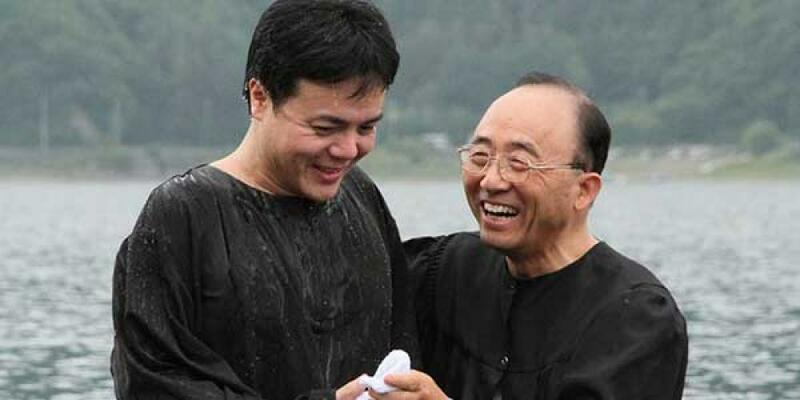 The goal is 100 new believers, which may seem a small number compared to other regions of the world church, but would be three times the number of new members in a typical year. A team has already started praying for the TOKYO 13 initiative. South American Division, based in Brasilia, Brazil. Includes South America except for the five northern-most countries. Division leaders have designated Buenos Aires, the capital of Argentina, for focused outreach. The church opened a center of influence in Villa del Parque, one of the busiest districts of the city. The center partners with the Belgrano Adventist Sanitarium to offer guidance about health and family issues. The center is visited by nearly 40 people each day. The church also operates the Granix Restaurant, which sells healthy food and offers health information. The division is purchasing two pieces of property to construct new congregations. Other major outreach is also planned in Santa Cruz de la Sierra, Bolivia; Santiago, Chile; Guayaquil, Ecuador; and Sao Paulo, Brazil, home to 19 million people. Southern Africa-Indian Ocean Division, based in Pretoria, South Africa. This division plans to hold a school of evangelism, similar to one held in New York City to launch NY13, which was the starting point of the “Mission to the Cities” initiative. Luanda, Angola, is the designated city of outreach for this year. It is home to some 7 million people. The Adventist Church is now holding 10,000 small group meetings, and 100 larger campaigns will be held in neighborhoods throughout the city in September. Every church department is involved and the initiative is widely supported by lay members. Follow-up will include the “Fishers of Men” discipleship program. Next year, 70 cities will be identified throughout the division, with each union, conference, district and church offering support. South Pacific Division, based in Wahroonga, New South Wales, Australia. Sydney was the site of an Adventist evangelism series, “The Last Empire,” the largest of its kind in more than three decades. The series was promoted with four billboards, 1.25 million brochures and 100 TV ads. The series was held in partnership with 45 churches and was held in 29 venues. More than 1,500 community members attended and nearly 1,000 were still attending the final program. Most of the meetings were held in English, but several venues offered Portuguese, Tongan, Samoan, Fijian, Mandarin and Arabic. Churches prepared for the series for 18 months, and members were encouraged to pray for five people in their circle of influence. Southern Asia-Pacific Division, based in Manila, Philippines. Includes Southeast Asia, Sri Lanka, Bangladesh and Pakistan. Adventist Mission representatives are planning for a major evangelism campaign in Manila next year, with church President Wilson as the featured speaker. The denomination will also offer health outreach from a shopping mall in Indonesia and a vegetarian restaurant in Laos. Southern Asia Division, based in Hosur, Tamil Nadu, India. Includes India, Bhutan, the Maldives and Nepal. The division has selected Mumbai, India, a city of more than 18 million people. Church leaders will offer ministry in the northern suburb of Malad, among the fishing community in Vasai, and at the Paschael village in Madh Island. Local members and pastors are offering Bible studies in these communities. In February, Adventists held evangelistic outreach in West Andheri in India among the Telugu-speaking community. Programs offered preaching, children’s programming and lectures on health. Trans-European Division, based in London, England. The division will host more than 100 evangelism initiatives and Bible academies in London. Members are encouraged to reach out to their circle of influence. In addition to traditional billboard and Underground posters, a clever advertising campaign includes the “Sabbath couch.” Adventist young people place a couch on a city sidewalk and offer to let passers-by sit and rest. It’s an opportunity to ask what they would do with a 24-hour break each week, introduce the concept of Sabbath, and invite them to an upcoming meeting nearby. The goal is to have 50,000 people sit on the couch over time leading up to meetings. The division is also planning meetings next year in other cities, including Belgrade, Serbia; Budapest, Hungary; Dublin, Ireland; Split, Croatia; and Copenhagen, Denmark. West-Central Africa Division, based in Abidjan, Ivory Coast. This division has selected Lagos, Nigeria, for focused outreach. Lagos state has more than 8 million people according to census records from 2006. The division has also designated 50 other cities throughout the division for ministerial outreach.